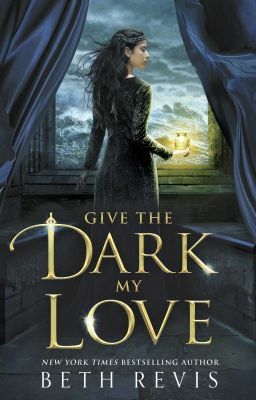 A young alchemist turns to dark magic when a deadly plague sweeps through her homeland in this epic fantasy from New York Times bestselling author Beth Revis. Seventeen-year-old Nedra Brysstain leaves her home in the rural, northern territories of Lunar Island to attend the prestigious Yugen Academy with only one goal in mind: master the trade of medicinal alchemy. A scholarship student matriculating with the children of Lunar Island's wealthiest and most powerful families, Nedra doesn't quite fit in with the other kids at Yugen. Until she meets Greggori "Grey" Astor. Grey is immediately taken by the brilliant and stubborn Nedra, who he notices is especially invested in her studies. And that's for a good reason: a deadly plague has been sweeping through the north, and it's making its way toward the cities. With her family's life--and the lives of all of Lunar Island's citizens--on the line, Nedra is determined to find a cure for the plague. Grey and Nedra grow close, but as the sickness spreads and the body count rises, Nedra becomes desperate to find a cure. Soon, she finds herself diving into alchemy's most dangerous corners--and when she turns to the most forbidden practice of all, necromancy, even Grey might not be able to pull her from the darkness.